Bentley has proven downsizing is relative by releasing the first details of a V8 petrol engine to slot into the range below the firm’s monsterous W12 power plants. A budget Bentley then? Well, no. Not really. Created to provide Bentley customers with a sporty yet more fuel efficient car, both Continental GT and GTC models get the new engine. The Crewe-based firm states it is more efficient than ever thanks to a clever system which shuts down four of the cylinders when the full eight aren’t required. The result of such trickery is a range of more than 500 miles, if you don’t get too excited with your right foot. 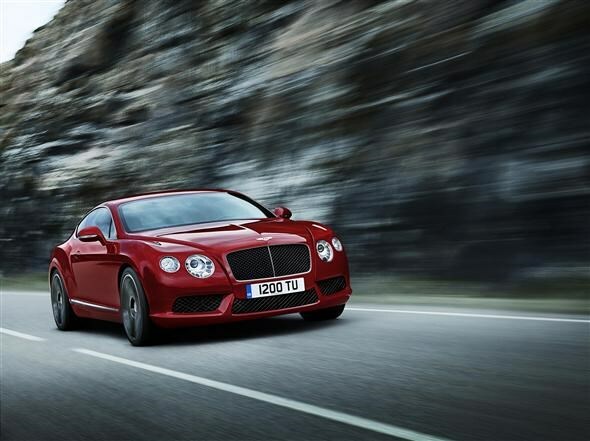 Boasting a maximum power output of 500bhp and torque of 660Nm, the twin-turbocharged 4.0-litre V8 engine is capable of man-handling the rather portly Continental GT past 62mph in ‘less than five seconds’, with a top speed of 180mph possible given optimal conditions. The firm also claims a 40% improvement in both CO2 emissions and fuel economy, although it is remaining tight-lipped on the actual figures. Apparently ‘full and official’ numbers will be available at the car’s launch at the Detroit Motor Show in January 2012. There’s also a new eight-speed automatic gearbox to feed power from the engine to all four wheels. You’ll be able to pick out the V8 cars visually thanks to the chrome-framed gloss black grille surrounding a red Bentley ‘B’ badge. The lower part of the front bumper has also been tweaked slightly, with body-coloured strakes dividing the lower portion of it. At the rear you can find unique chrome tailpipes in a figure-eight configuration, a slightly lower rear bumper and that red ‘B’ on the tip of the boot lid. Both cars come with 20-inch alloys as standard, and buyers will get the option to go an inch bigger should the mood take them. Now, this wouldn’t be a Bentley without some ridiculously exuberant trim names, so you’ll be happy to hear that ‘Dark Fiddleback Eucalyptus’ veneer and an ‘Eliade’ cloth headlining dominate the interior spaces. Both sound refreshingly expensive to us. We expect to hear more details regarding prices and efficiency figures when the car is unveiled in Detroit in January, but with the current GT model priced from £135,760 it's not exactly going to be a 'cheap' choice. 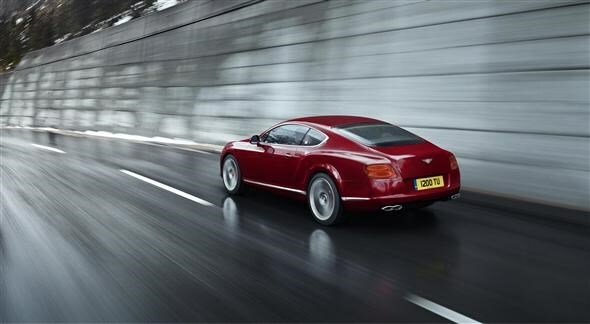 Did you know the most popular review for the Continental GT range is the Bentley Continental GT Coupe review.